Demand for Scotch whisky has fallen by one million bottles in the UK since Chancellor Philip Hammond increased spirits tax in his March Budget, says the Scotch Whisky Association (SWA), proving the need for a cut in the November Budget. The SWA launched its Drop the Dram Duty Campaign in July to urge Ministers to support the scrapping of what it calls an 80% ‘supertax’ on Scotch and a cut on spirits duty. It followed the disappointing 2017 Spring Budget, which instead of a cut saw spirits duty rise with inflation, piling on more tax. With the November Budget now fast approaching, the SWA has pointed toward official HMRC figures to back up its calls for a cut on spirits duty, stating that 36.7 million bottles were released for sale in the first six months of 2017 – down from 37.7 million in the same period last year. The 2.6% fall follows the Chancellor’s decision to increase spirits duty in the spring Budget with inflation by 3.9%, meaning tax now makes up 80% of the cost of a bottle of Scotch. An average priced bottle of Scotch Whisky is £12.77. Of this total, excise duty is £8.05 and VAT is £2.13, with a total of £10.18 going straight to the Treasury, while the value of the liquid accounts for just £2.59. 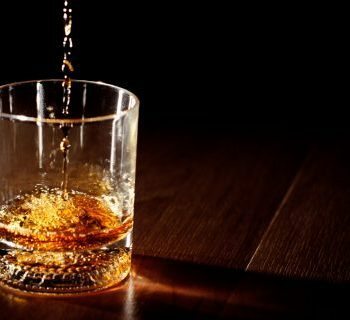 The trade body has also pointed out that the tax revenue generated from spirits sales in the UK has actually fallen since Philip Hammond’s spring increase – meaning less money for the Treasury. Spirits revenue was down more than 7% in the first financial quarter of 2017/18 to £697 million from £751m in the same period from April to the end of June the previous year, according to the SWA. In contrast, a 2% cut in 2015 saw spirits revenue rise by 4% – giving a £124 million boost to the Treasury – while a freeze in 2016 led to a revenue increase of more than 7% – a boost of £229m. “Philip Hammond’s damaging 3.9% spirits duty hike has hit UK demand for Scotch and seen less money going to the Treasury,” added Karen Betts, SWA chief executive.